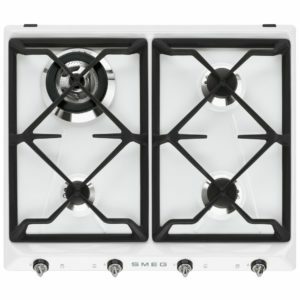 This stylish gas hob from Smeg gives you the flexibility of gas cooking across 4 burners with plenty of space for your pans. Finished in black ceramic glass it looks incredibly stylish as well! 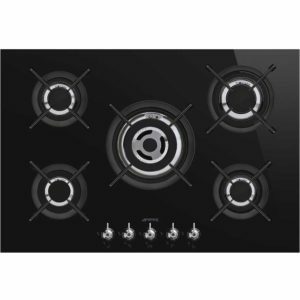 This superb 70cm wide gas hob from Smeg boasts five gas burners with cast iron pan supports. Finished in stainless steel it will look great in any kitchen. 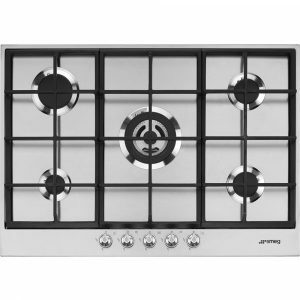 You will be able to create a great range of food on this superb gas hob from Smeg. 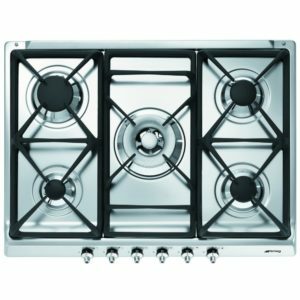 Finished in stainless steel with cast iron pan supports, this model has an ultra low profile design, making it a great addition to a modern kitchen. 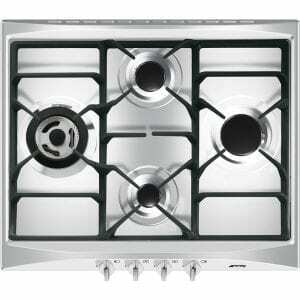 There are 5 burners including a powerful ultra rapid burner for when you need that extra heat! 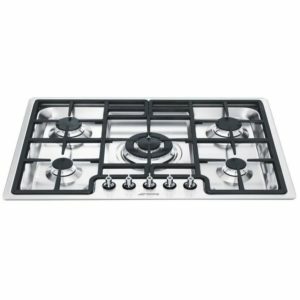 This superb 60cm wide gas Cucina Aesthetic hob from Smeg boasts four gas burners set out in an eye catching diamond formation. 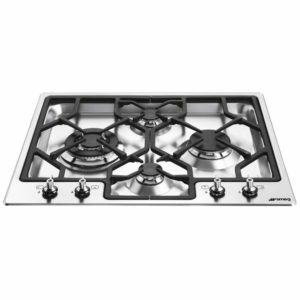 Each burner is accompanied by a heavy duty cast iron pan support and matching black burner caps. 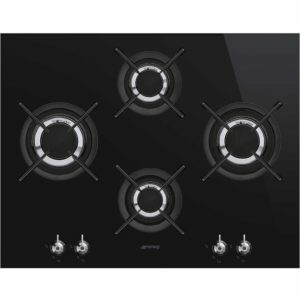 New style Cucina controls in silver tie in to the sleek stainless steel finish. 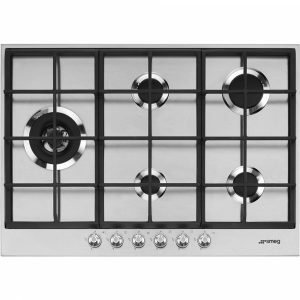 This simple yet stylish Smeg hob will look great in any kitchen. This superb 75cm wide gas on glass hob from Smeg boasts five gas burners with cast iron pan supports. 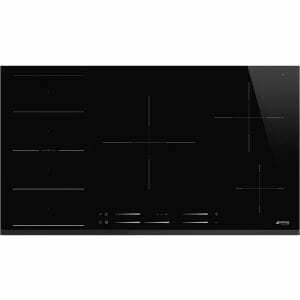 Finished in black glass it will look great in any kitchen. 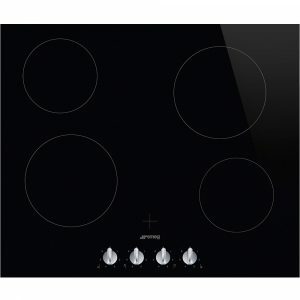 This superb 60cm wide ceramic hob from Smeg boasts four heat zones with 6 power levels for great control of your cooking. Finished in black glass it will look great in any kitchen.